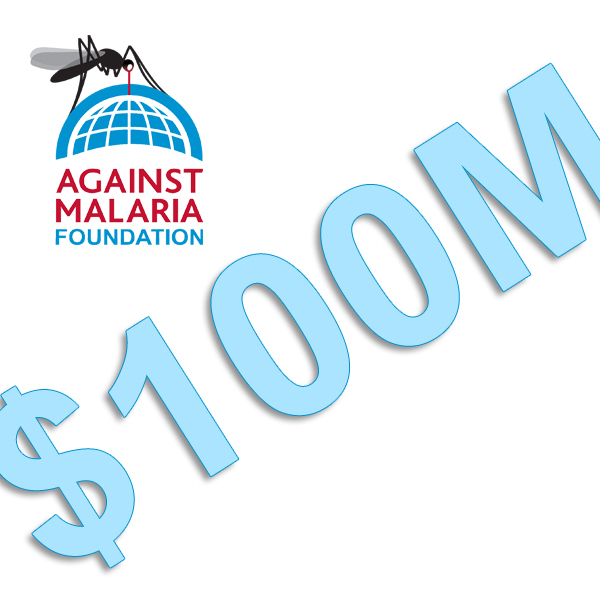 We have just passed US$100 million raised since AMF started 12 years ago! Thank you! This has been a 'grass roots' achievement by many people - 205,795 donations from 80,789 people in 181 countries and with no money from governments. The last few years has seen donations increase significantly with the last three annual totals being US$4.0m, US$14.2m and US$49.1m. The most important two numbers are of course for those we can prevent from dying and falling sick from malaria. Whilst we can only estimate these mortality and morbidity numbers, we can be more precise about the numbers of nets able to be funded and people protected. It is important to point out that these numbers apply when all US$100m has been spent on nets and they are in place. This is not the case currently as some nets will only be distributed in the next six months and some funds are still to be allocated to distributions. The figures give an idea of what US$100m can achieve.